I’m back in France since April 15th. 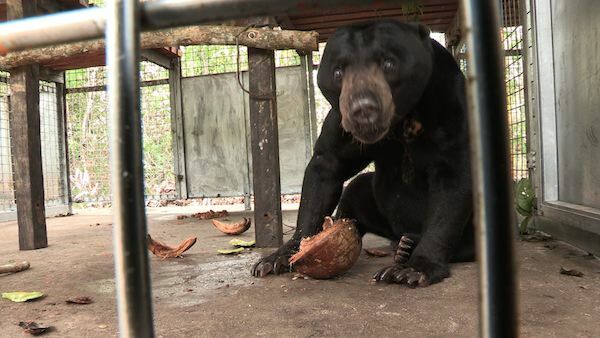 I’m here to make a 52 min version of my latest film on sun bears, to search for funds and to work to earn some money so that I can go back to Indonesia to continue helping the sun bears. 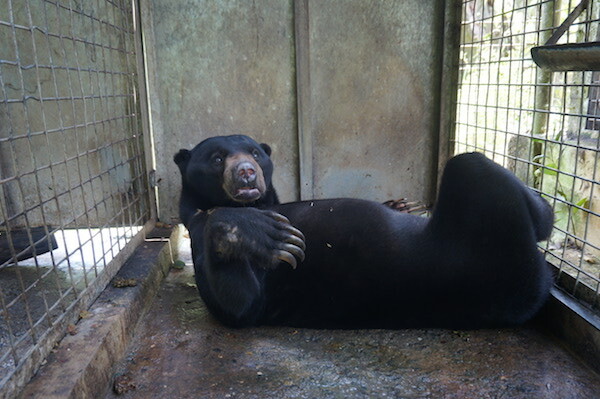 During the 6 months that I just spent at BOS Samboja Lestari, I had new cages built and old ones renovated improving the welfare of 20 sun bears. 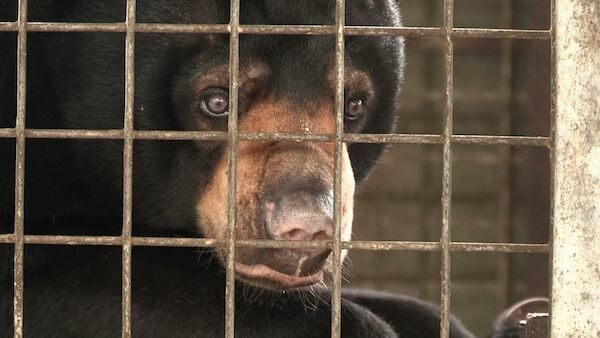 I’m happy to say that no more bears at Samboja Lestari are held in the small holding cages. 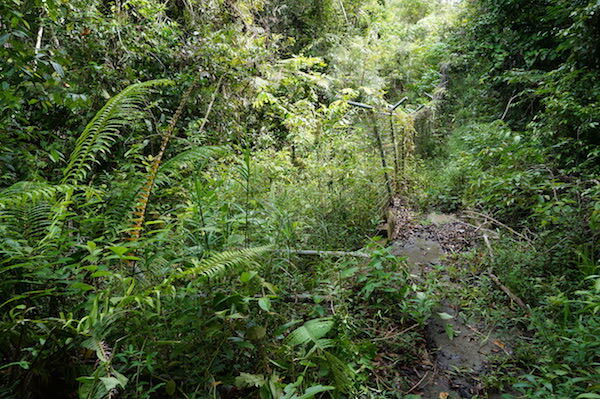 They are now in cages from 4 to 25 m2 in size, with wooden platforms and hammocks. 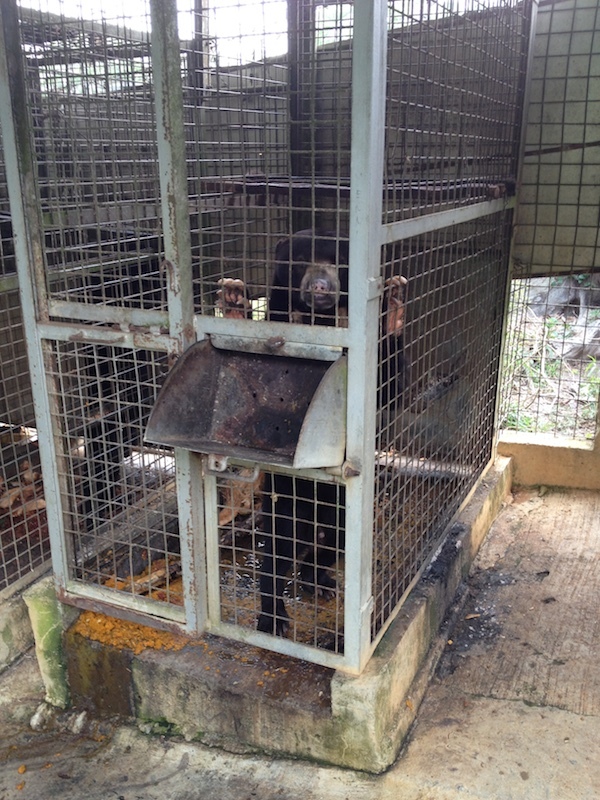 The last 3 sun bears to be transferred to new cages were Dawai, Kecil and Apang as you can see on the pictures. 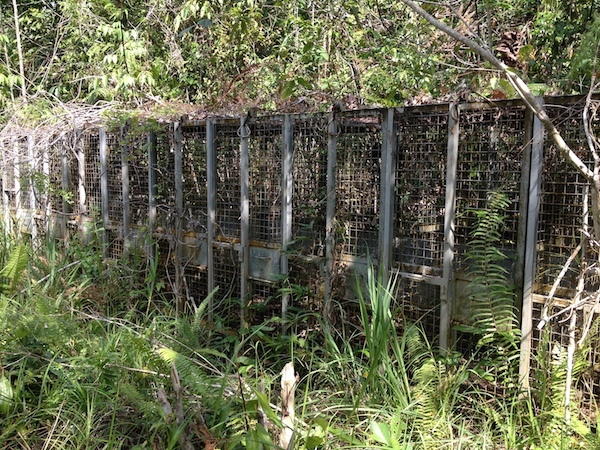 This improvement, although significant, is of course insufficient and the objective of allowing all the bears to have access to outdoor forest enclosures remains. 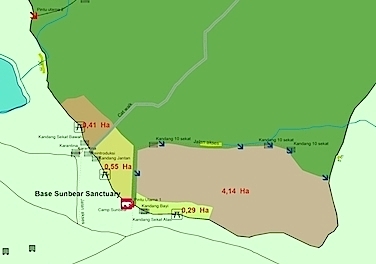 The next project of Sun Bear Outreach, in collaboration with BOS Foundation, will be to finish the construction of a 4,14 hectare forest enclosure next to where the bears are now (bottom right corner on the map). 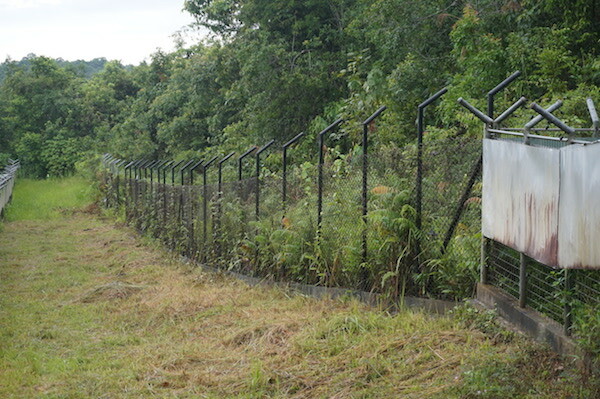 Five years ago, this area was fenced out for the making of a large sun bear enclosure, but the project was not completed. 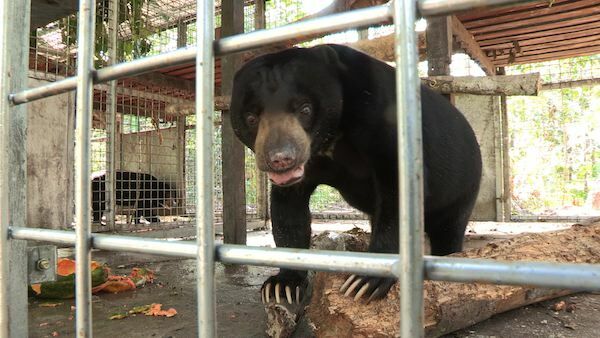 The budget needed for repairing and finishing the fence, for adding an electric fencing, for building 3 new holding cages and for making a training enclosure (in which the bears will become familiar with electric fencing) is about 70 000 USD. 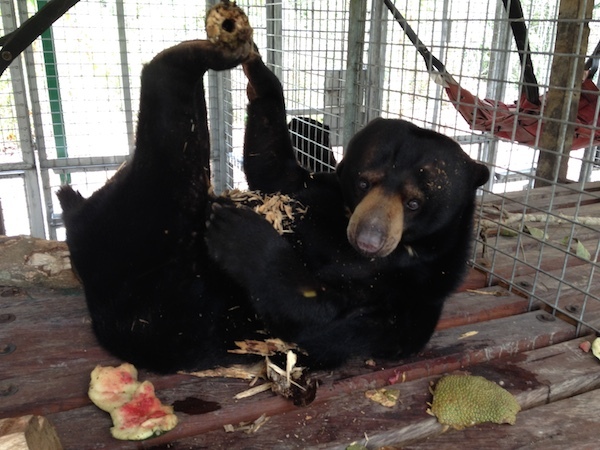 We, Sun Bear Outreach and BOS Foundation, hope to raise the funds over the summer so that I can go back to Samboja in September to see this project through.